Peanut Butter. Ugh it’s one of God’s greatest. It’s not uncommon to see me waltzing around the house, spoon in hand. 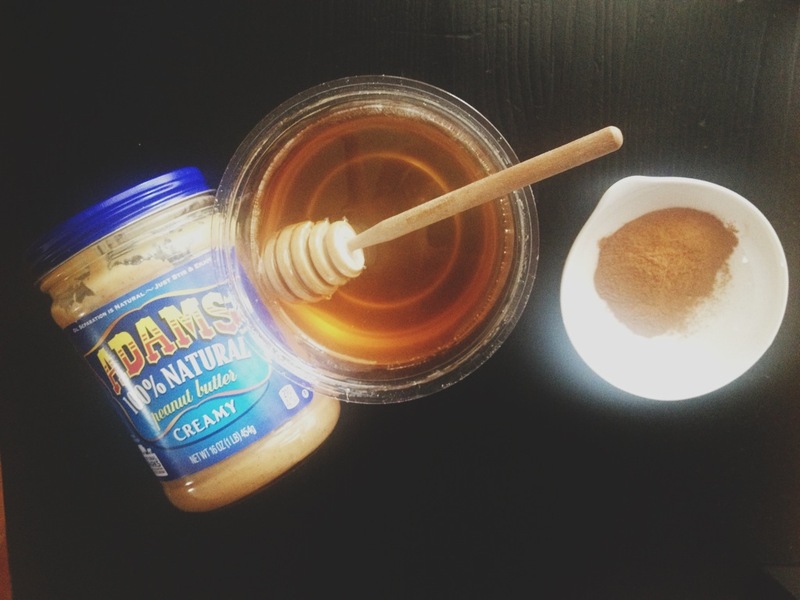 I’m discovering different ways to eat peanut butter, and today’s blog post is a reeaal good one. Homemade Honey Cinnamon Peanut Butter. Now if you are feeling ambitious, option #1 is to buy some raw peanuts and blend them in your vitamix or blender, to get your own butter first. I enjoy doing this (especially with almonds) but I was in a hurry and here is your option #2: Mix store-bought natural peanut butter (ingredients: peanuts), with your favorite honey, and cinnamon. Mix your own desired ratios. Dip pretzels in it. Dip green apples in it. Eat it with a banana. Does anyone else share my addiction to peanut butter?